Call me crazy, but sometimes even in the middle of summer a bowl of soup can be quite nice. I had the most amazing summer squash soup on our California road trip (when it’s 60 degrees in the evening hot soup doesn’t sound as crazy too). Anyway, I loved it so much I decided to try to recreate it when I got home. Plus, my freezer has been stocked full of homemade chicken broth for months. 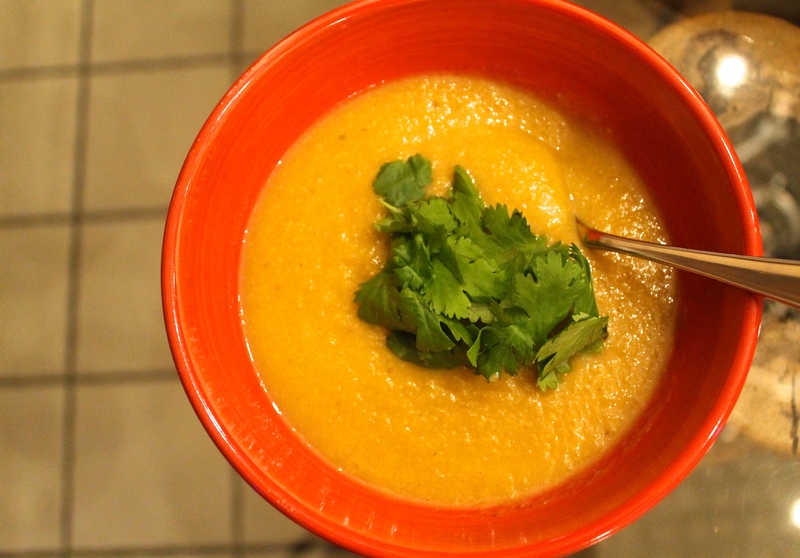 Anyway, back to this delicious, smooth summer squash soup. When I got home from our trip I did what I always do when I want to get ideas for a recipe – I started Googling. I am a nerd and read recipes for fun. Sometimes I find one and tweak it to make it my own, or I might combine ideas from two. For this one, I loved Whole Living’s idea to use cilantro stems – something that’s usually tossed. So I pretty much stuck to their recipe with one small change – I subbed in my homemade broth for an added nutritional boost. Cilantro (or coriander) is one of those herbs you either love it or you hate it. Cilantrophobes, as haters of the herb like to call themselves, say it tastes like soap or bugs. Turns out their taste buds don’t lie. Cilantro’s smell is produced by aldehydes. You know what else puts off aldehydes? Bugs and soap. Cilantrophobes make the association in their taste-smell memory bank and understandably then just can’t take it. I myself fall in the lover camp. I love adding cilantro to salads, curries and other dishes for a fresh bite of green. Cilantro (the leaves) and coriander (the seed) are part of the same plant. Both are powerful detoxifiers and natural chelators that helps to draw heavy metals like lead and mercury out of the body. The leaves also have antioxidant and antibacterial properties. These benefits make cilantro a great choice to add to your green juice. Coriander has been considered a healing spice for centuries and long been used in cooking for it’s anti-inflammatory and preservative properties. If you read the ingredients on your curry powder, you’ll likely find coriander listed there too. 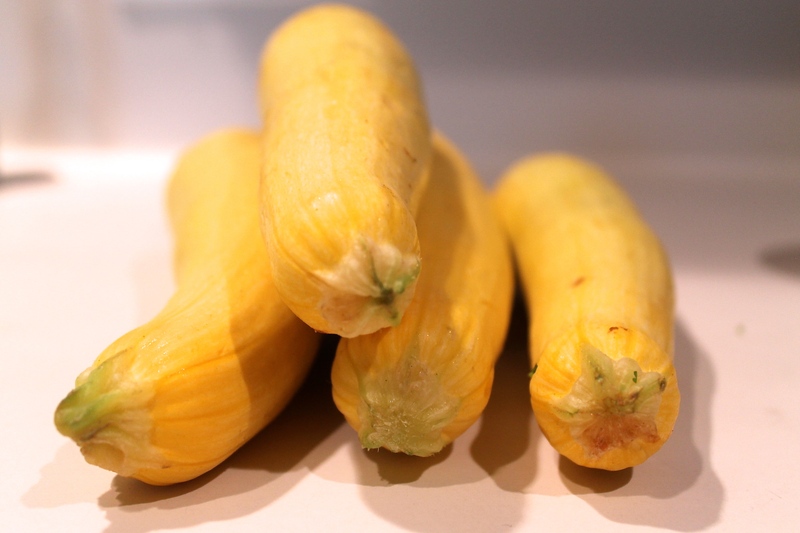 Yellow summer squash is abundant in the summer which makes it great to use in a soup. Before making this recipe I stuck to winter squashes for creamy soups but opting for summer squash, especially this time of year, will be much cheaper and also keep you eating seasonally which is always a good thing. Yellow squash has a lot of water in it (also good in the summer) and has antioxidant, anti-inflammatory and blood sugar stabilizing benefits. I love slicing it up and sautéing squash with sweet yellow onion, zucchini and some dark leafy greens. It’s the perfect quick, easy side dish to go with just about any meal. Heat oil in a medium saucepan over medium heat and cook onion, stirring, until softened, about 5 minutes. 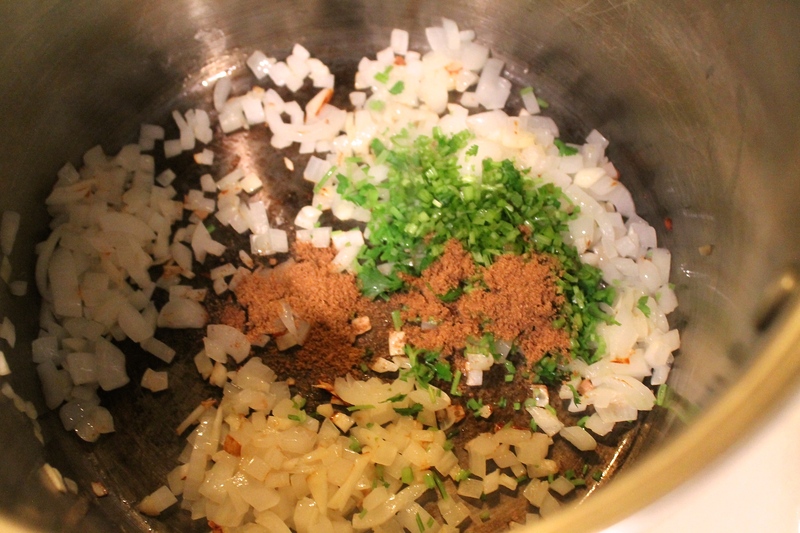 Add garlic, cilantro stems, and coriander and cook, stirring, until fragrant, about 2 minutes. Add squash and 2 1/2 cups chicken broth and bring to a boil. 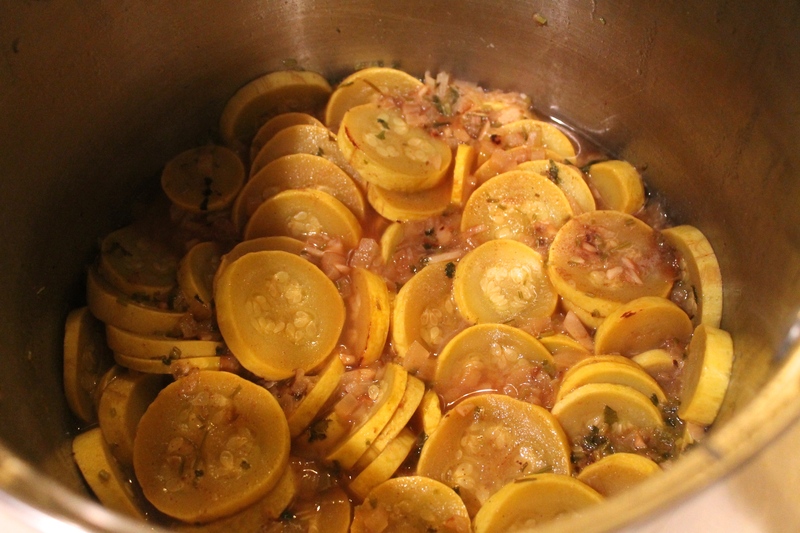 Reduce heat and simmer, covered, until squash is just tender, about 15 minutes. Let cool slightly, then season with salt. Puree soup in batches until smooth. (If too thick, thin with a little water.) Adjust seasoning if necessary and let cool slightly. Garnish with cilantro leaves and serve with lime. I love your emails — and learn so much from your site. 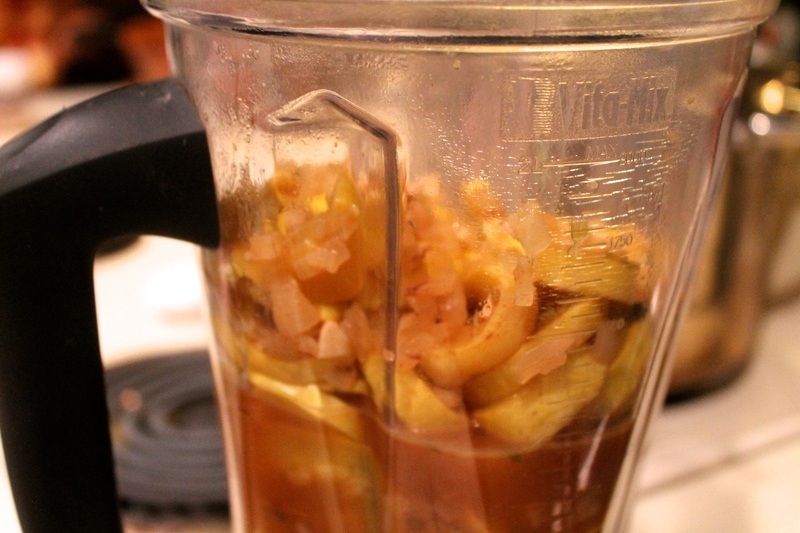 Then in the blender with some chicken broth, blend it up. It’s wonderful & so easy! Love the veggies when they come out of the oven too. (make extra veggies, cuz you’ll want to nibble on them). I usually make my own stocks too, but never actually thought abotu using the bones. Do you go to a butcher or meat market and ask for particular parts? I’d love just a few insights as to where to start. My chicken broth has been historically done by stewing the veggies and chix together, then separating, using the chicken in meals and such. Anyhow, would love to know! Thanks! Hi Tanya! I usually just use the leftover bones when I roast a whole chicken. I throw the whole carcass in the slow cooker along with some veggies like onion, carrot, celery; cover it all with water, plus a tbsp of apple cider vinegar to help draw minerals out of the bones. Then I just let go for about 24 hours. Super easy. I’m working on a post that I’ll share soon with a more exact recipe, tips and benefits. Stay tuned. Hope that helps!